Total knee arthroplasty, partial knee arthroplasty, bicompartmental knee arthroplasty. Robot assisted knee surgery. Rapid recovery. Orthopedie Roeselare represents professional service within the high quality Healthcare in Belgium. Quality, reliability and a personal approach are the pillars we apply in order to provide in individual needs and well targeted solutions of each patient. Our patient care manager organises an all-inclusive package tailored to each individual patient and situation. Upon the patient’s request, any modification to the package can be made. After knee surgery, we usually want the patient to stay about 3 weeks in Belgium, before flying back. Total hip arthroplasty, partial knee arthroplasty, bicompartmental knee arthroplasty. Robot assisted knee surgery. Rapid recovery. Our patient care manager organises an all-inclusive package tailored to each individual patient and situation. Upon the patient’s request, any modification to the package can be made. After hip surgery, we usually want the patient to stay about 3 weeks in Belgium, before flying back. Total shoulder arthroplasty, partial knee arthroplasty, bicompartmental knee arthroplasty. Robot assisted knee surgery. Rapid recovery. Our patient care manager organises an all-inclusive package tailored to each individual patient and situation. Upon the patient’s request, any modification to the package can be made. After shoulder surgery, we usually want the patient to stay about 2 weeks in Belgium, before flying back. Our Patient Care Manager organises an all-inclusive package tailored to each individual patient and situation. Upon your arrival in Belgium, everything is well prepared and organized. The Patient Care Manager will help you through each step that has to be taken. Of course, all items in this package can be adjusted (less or more) upon the patient’s request. The effective operation can usually be organized within 6 weeks. Orthopedie Roeselare is an association of top-of-class orthopaedic surgeons working in the AZ Delta Hospital. 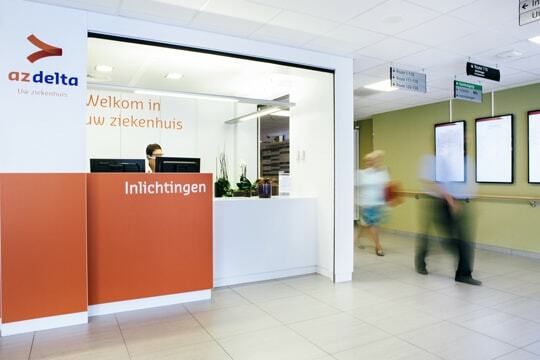 The campus in Brugsesteenweg is an exclusive, specialist locomotor centre which means complete, highly specialised care can be provided at a patient-friendly campus with 7 operating rooms incl. robot-assisted surgery (Mako, Stryker), nursing departments, medical imaging (MRI, EOS, CT), outpatient clinic and rehabilitation facilities. By adopting a high-quality and multidisciplinary approach Orthopedie Roeselare has evolved to become a leading orthopaedic service with an impressive reputation. The service is able to offer all orthopaedic sub-specialities. Each patient is guaranteed an exact diagnosis and customised treatment plan. There is close cooperation with the physiotherapy and rehabilitation department for the orthopaedic treatments. The surgeons have extensive experience and the operations are highly refined due to super-specialisation. Continuous training linked to a busy practice ensures state-of-the-art treatment. The use of validated standard procedures in the operating theatre reduces risks. Rehabilitation and aftercare takes place in association with your general practitioner, rehabilitation physician and physiotherapist. Quality is monitored using quality parameters and PROMs. Our aim is to provide excellent care each and every day. Our ambition is to continue to be pioneering in Flanders, Belgium and Europe by constantly striving for these values and increasingly focusing on quality, an open multidisciplinary approach and research. 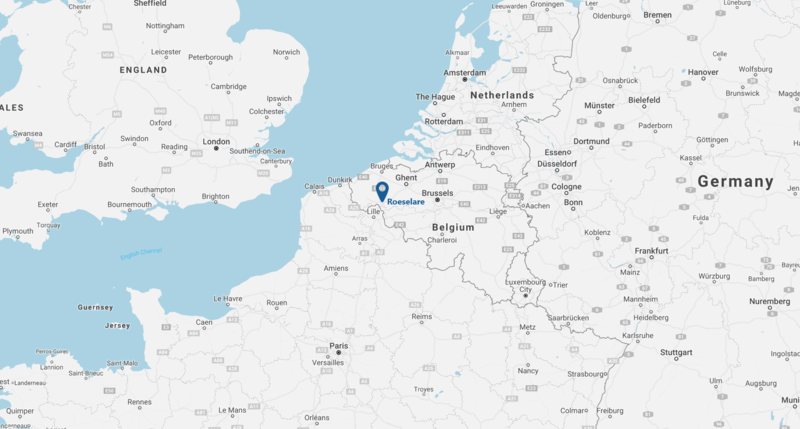 AZ Delta is a highly specialised hospital in Roeselare, Belgium. A high level of differentiation prevails in the hospital, in which all aspects of specialist care are available, from cardio surgery to dialysis and neonatology. The department of orthopaedics, which is based in the campus Brugsesteenweg, is one of the hospital’s spearheads. The AZ Delta Hospital is Joint Commission International (JCI) approved and owns the JCI gold label. Over 4,000 people work at AZ Delta, of which approximately 385 are doctors.